Helloooo and happy Friday filled with Buffalo Chickpea Salad! I made this Buffalo Chickpea Salad because I love buffalo sauce. I dip my fries in it. I put it on sandwiches, eggs, pizza. I’m buffalo sauce’s number one fan. I wanted a delicious vegetarian recipe for something I could use in sandwiches. Something with substance. Something with buffalo sauce. 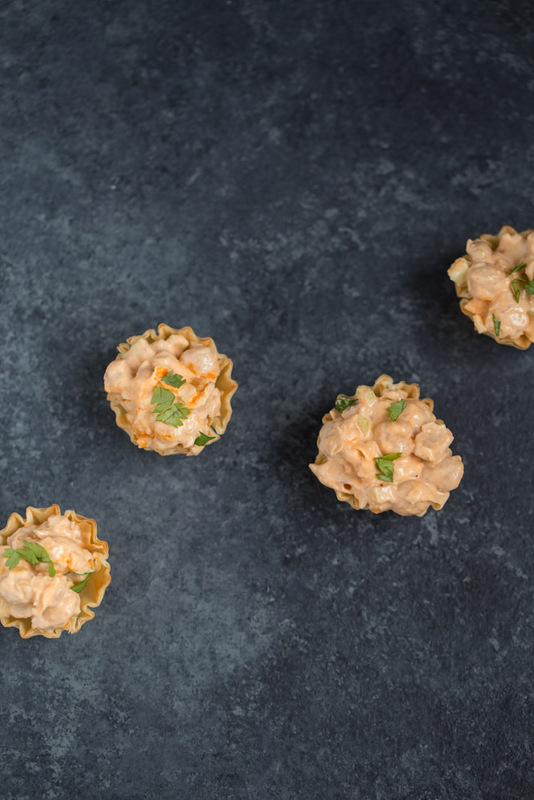 This simple recipe is made with every day pantry items including mayo, chickpeas and buffalo sauce. Great for sandwiches, wraps and phyllo cups. Can be served with chips or crackers, too. Prepare the chickpeas. Place ⅓ of the chickpeas in a mixing bowl and mash them. Add the remaining chickpeas to the mixing bowl and stir to combine with the mashed chickpeas. Add the remaining ingredients (minus the cilantro) to the mixing bowl and mix well. Pour the mixture into a serving bowl and garnish with fresh chopped cilantro and drizzle with extra buffalo sauce, if desired. This is genius. 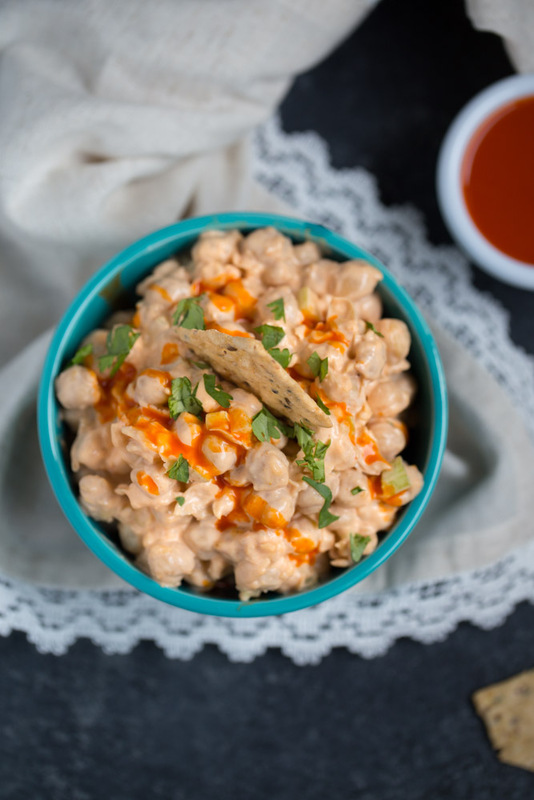 I love chickpeas and buffalo sauce so I am sure i would like this combo! Thankyou, Miryam! I think you would like this combo, too! These would be delicious and make you not miss the meat! You’re spot on, Erin! You won’t miss the meat when you have this salad! I’ve made roasted Buffalo chickpeas for a snack, but I love the idea of using the flavors in a salad — perfect for warm weather! I’ve got everything ready to make this recipe!! I need healthy snacks for this week right before vacation! What an awesome salad…and it makes a perfect appetizer! Yum! Adding this to my vegan recipe list. I host for so many vegans and vegetarian friends I am always look for new recipes for them. Thanks! Awesome Salad recipe Yum! ?? I love salad especially vegetables Salad. 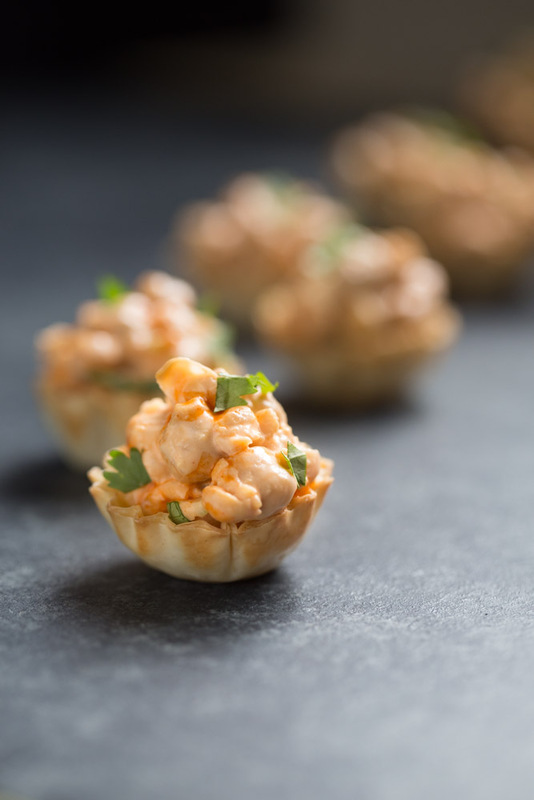 Buffalo Chickpea Salad looks so yummy in the pictures. Thanks for the recipe.